When a young woman is found dead inside her apartment with all of the doors locked from the inside, the police have only one suspect in mind: The Black Spectre! In order to clear his name, The Spectre will have to rely on Vicky more than ever to not only stay one step ahead of the police, but to find the real killer. What happens in the pages of this volume will have far-reaching effects across the entire Black Spectre saga! 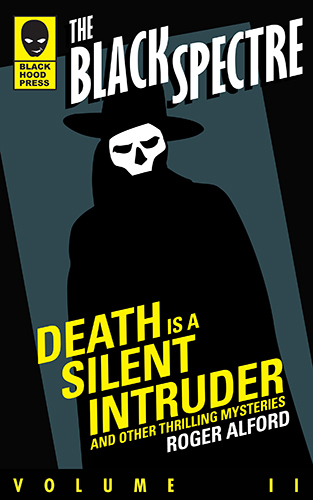 Death is a Silent Intruder is the second collection of Black Spectre short stories. Many of these tales are brand new and have never before appeared in print. Book Categories: Black Spectre and Latest Books.